Model-driven development (MDD) is a research area that has gained traction at many venues over the past five years. As an example, workshops on MDD have appeared at some of the top conferences in software engineering, including OOPSLA, ICSE and of course the MODELS conference. The idea for this workshop arose from discussion among many participants at OOPSLA 2006. Several of those in attendance at the OOPSLA DSM workshop were tool implementers who expressed a desire to have a dedicated forum for discussing the similarities and differences adopted in individual modeling tools. A closed workshop was proposed that would selectively invite papers from those responsible for some of the most well-known modeling tools. This group of 18 people have signaled their intention to submit, and of several suitable conferences TOOLS offered the date and venue that suited the largest number. The tools in question should provide a way to input metamodels (either via a GUI or as a graphical model), and from that provide a modeling tool, with a graphical model editor that follows the metamodel. The metamodeler should also be able to build generators that read these (instance) models to produce application code. While MDD can also be understood more broadly, to include even XML or text files as "models", that is not the focus of this workshop. Some of the tools may however focus on just one aspect, either as part of a tool chain in the spirit of Unix or Eclipse, or as a way of integrating between other MDD tools. 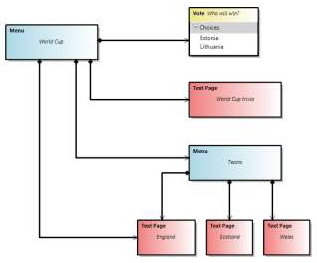 Below is a sample partial model of a TV menu system for the World Cup, as implemented in each of the four major tools represented. All tools were given the same specification for the modeling language requirements for Interactive Television Applications, but free reign for notation and implementation. Many of the pioneers in an emerging area often find themselves sharing similar experiences with others who are exploring common territory. Although modeling tools have been available for over 40 years, a new breed of tool implementers are focusing on modeling environments that are user-customizable with respect to the languages and capabilities supported. Because of the rapid growth of such tools, many implementers share repeated mistakes and concurrently rediscover the same techniques to support implementation of specific functionality. To address this issue, there is a need for open dialogue between some of the leading implementers of modern modeling tools from both commercial and academic backgrounds. The goal of this workshop is to provide a forum for the implementers of modeling tools to meet and discuss common challenges and solution techniques. A result of the workshop will be a summary report that characterizes the key challenges involved in modeling tool implementation and a roadmap for suggested future research and development. To facilitate discussion among the workshop attendees, the authors of submitted papers are asked to consider a common case study. This will allow all attendees to focus on a single problem, which will assist in highlighting the specific contribution and capabilities of each modeling tool represented at the workshop. The common case study is Interactive Television Applications. 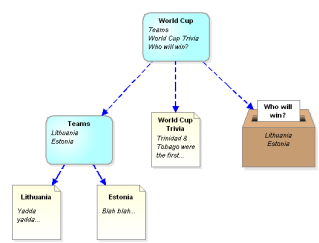 Because the case study used in all papers is similar, the authors do not have to spend space in their paper describing the context of the example. Furthermore, presentations by the tool implementers can focus on the specific features offered by their tool and the process for using the tool within the context of the case study. 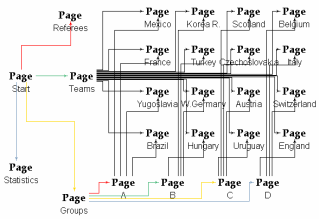 Authors are also encouraged to consider how their tool would fit within a tool-chain. 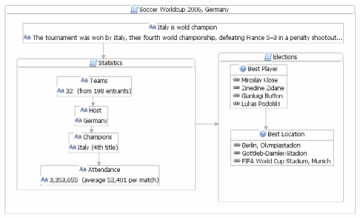 For example, a metamodeling tool could discuss language definition and evolution for the case study domain; model transformation tools could discuss how an instance of the case study is transformed to some other representation; an analysis tool could describe certain properties that could be analyzed. Admission to the workshop was by submitting an invited paper describing a tool or tool chain that addresses the goals of the workshop theme, and all or some facets of the common case study. Major toolchains were expected to cover all facets, in roughly 8-16 pages; other tools were expected to focus on a particular facet or facets, in roughly 5-8 pages. The focus is on practical papers that will explain to and teach other participants about each tool, rather than academic theory or marketing material. Each paper was reviewed by the Program Committee and invitations to attend the workshop or requests for revisions issued based upon the evaluations. Accepted participants should register for the TOOLS conference itself: there is a fee for one day, if desired.